When was the best year for housing affordability in the last 20 years? Which street names are the most popular for home buyers? Most popular street names for buyers REVEALED - is your home located at a premium address? Could your favourite soap star afford a property in their on-screen neighbourhood? Mortgage lending in UK increased by 4.7% year on year in December. The first wave of Help to Buy equity loan borrowers are coming to the end of five-year deals. Should home buyers get a mortgage Agreement in Principle before viewings? One 77 Mortgages is launching a new online mortgage fact find this week. One 77 Mortgages has created a specialist finance division headed up by Craig Taylor. Home owner mortgage arrears at record lows but more landlords struggling. Gap between residential and buy-to-let activity widens. Lending in England falls as house prices rise. New report reveals the 19 places where mortgage lending has fallen. House prices bubble: UK cities where values could soon CRASH. 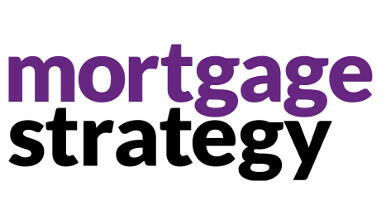 Should you pay a mortgage broker? Advisers accused of 'double dipping' by charging fees when they already get paid by lenders. You could be paying TWICE on your mortgage - Brokers accused of 'double dipping' on fees and most households don't even know it. UK housing and consumer demand weaken as Bank of England meets.